The Miami-based advisor of the Sterling Investment Fund must pay more than $748,000 in disgorgement and face criminal charges, the SEC says. The Miami-based advisor is facing criminal charges that he ran a Ponzi scheme. The Securities and Exchange Commission on Monday charged a Miami investment advisor with siphoning money from his investment fund and defrauding investors, including several local teachers, a church pastor and a former police chief. The SEC alleges that Phil Donnahue Williamson conducted a Ponzi scheme with money he raised for the Sterling Investment Fund, which purportedly invested in mortgages and properties in Florida and Georgia. 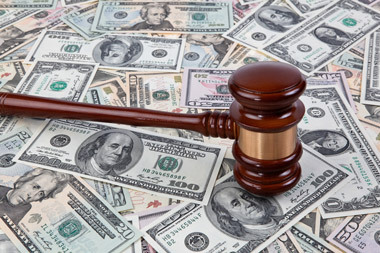 Williamson agreed to settle the SEC’s charges and be liable for $748,050.01 in disgorgement. According to the SEC, many of Williamson’s investors were public sector retirees such as teachers and law enforcement officers who sought safe investments for their retirement savings. “Williamson assured investors there was no risk involved and they would receive annual returns of 8% to 12%, but rather than invest their money as promised, he used the majority of fund assets to pay his personal expenses and make supposed returns to investors,” the SEC says. He also created fictitious valuations that were sent to investors. According to the SEC’s complaint filed in U.S. District Court for the Southern District of Florida, one retired Miami-Dade County school teacher and church pastor invested $125,000 in the fund. That same day, Williamson transferred $10,000 to himself to pay his credit card bill and make a car payment to BMW, among other personal expenditures. He also later paid $24,400 to other investors in the fund as purported distributions, and transferred another $24,000 to himself to pay additional personal expenses. In a parallel action, the U.S. Attorney’s Office for the Southern District of Florida announced criminal charges against Williamson. Williamson also agreed to be permanently prevented from violating the antifraud provisions of the Investment Advisers Act of 1940, including misleading clients or prospective clients about investment strategies, the use of client funds, or his qualifications to advise clients. The settlement is subject to court approval.